Mathematics and Science education have both grown in fertile directions in different geographic regions. Yet, the mainstream discourse in international handbooks does not lend voice to developments in cognition, curriculum, teacher development, assessment, policy and implementation of mathematics and science in many countries. Paradoxically, in spite of advances in information technology and the "flat earth" syndrome, old distinctions and biases between different groups of researcher's persist. In addition limited accessibility to conferences and journals also contribute to this problem. 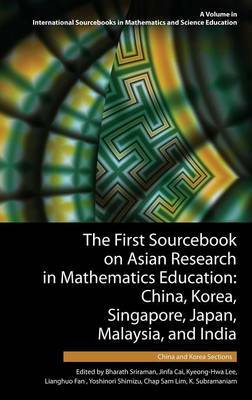 The First Sourcebook on Asian Research in Mathematics Education: China, Korea, Singapore, Japan, Malaysia and India provides the first synthesized treatment of mathematics education that has both developed and is now prominently emerging in the Asian and South Asian world. The book is organized in sections coordinated by leaders in mathematics education in these countries and editorial teams for each country affiliated with them. Thepurpose of unique sourcebook is to both consolidate and survey the established body of research in these countries with findings that have influenced ongoing research agendas and informed practices in Europe, North America (and other countries) in addition to serving as a platform to showcase existing research that has shaped teacher education, curricula and policy in these Asian countries. The book will serve as a standard reference for mathematics education researchers, policy makers, practitioners andstudents both in and outside Asia, and complement the Nordic and NCTM perspectives.